The Vestry of St. James Church is comprised of the Rector, Senior Warden, Junior Warden, and twelve Vestry Members (currently two women, seven men, and three vacancies). The wardens and vestry members are elected by the parish membership during the Annual Meetings of the Parish, held on the last Sunday in January each year. The wardens are elected to two year terms, and the normal term of office for vestry members is three years; members and wardens can be re-elected but vestry members must step down from office after having served six consecutive years. 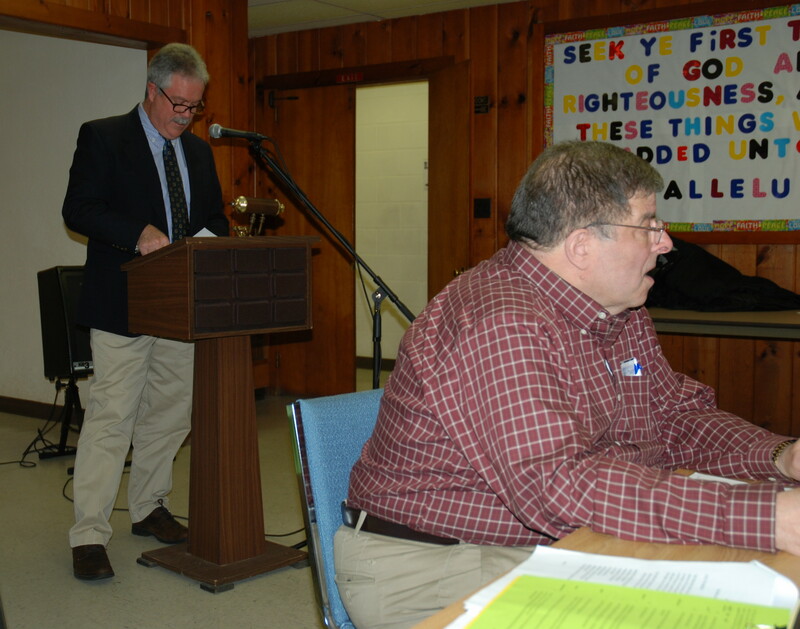 An organizational meeting of the Vestry is held immediately following each Annual Meeting, at which time the Treasurer (who does not have to be a member of the Vestry) and Clerk of the Vestry are elected by the Vestry. 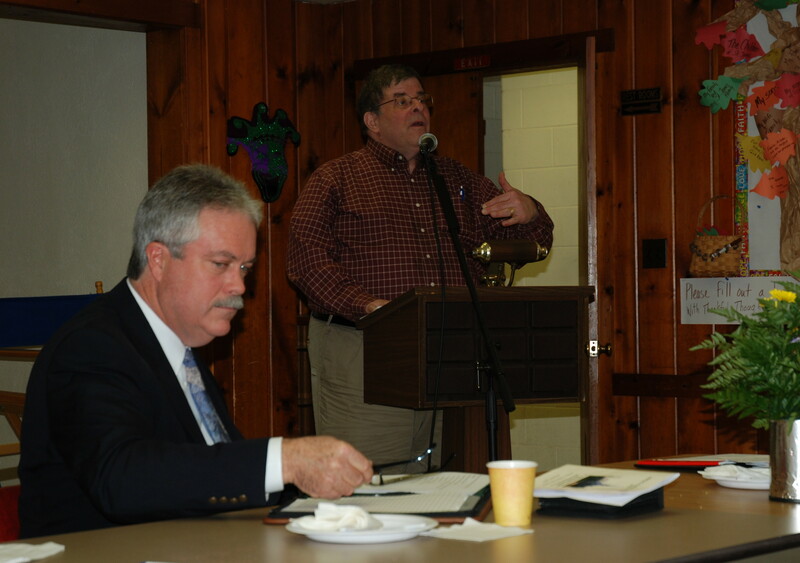 The Executive Committee of the Vestry comprises the Rector, Wardens, Treasurer, and Vestry Clerk. The Vestry normally meets in the Undercroft at 7:00 pm on the fourth Tuesday of each month. 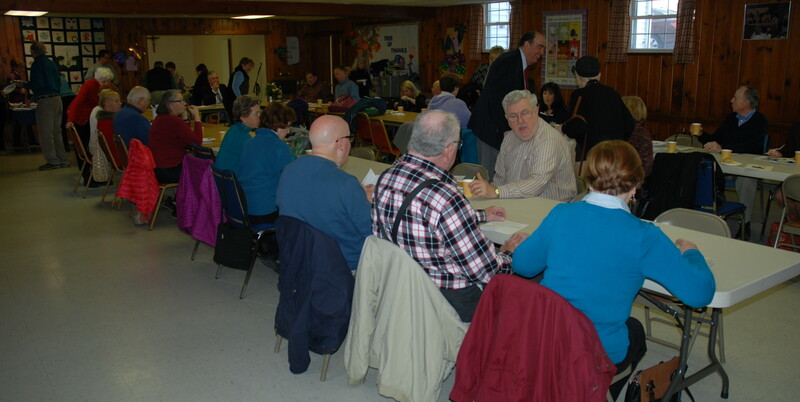 Meetings of the Vestry are open to all members of the Parish; Minutes for all meetings are published and posted following approval by the Vestry. 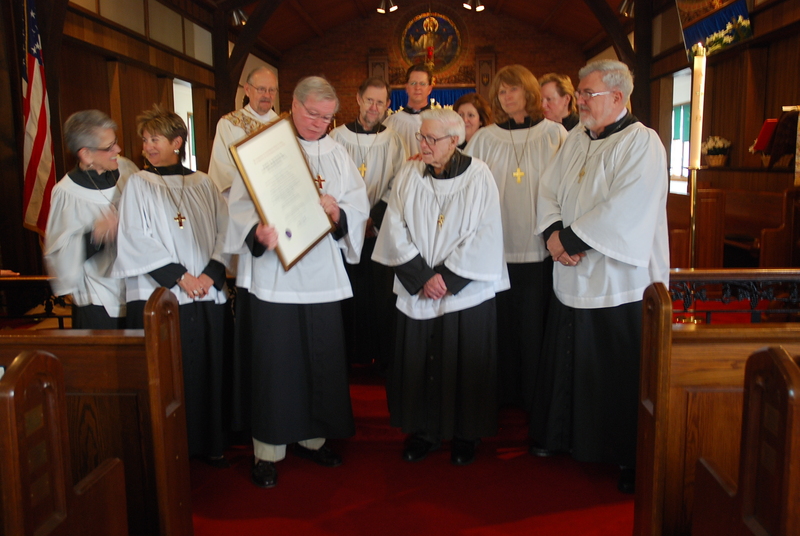 The Lay Ministry of St. James Church includes parishioners who serve as Lectors, Intercessors, Chalice Bearers, and Acolytes and thereby assist the Rector in conducting the religious services and ceremonies that are held throughout the year. 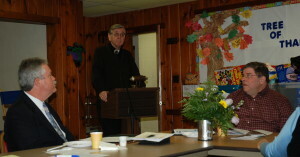 Nominations of parishioners to serve in the Lay Ministry are approved by the Rector. Chuck Katten is responsible for managing the Lay Ministry program and training those selected to serve in the ministry. Throughout the history of St. James Church, the Music Ministry has always been considered an important part of divine worship. Less than two months after the establishment of the St. James Mission, in February 1915, Archdeacon R. Bowden Shepherd offered to make available a reed organ that had been donated to the Diocese by a Miss Roundy from Bound Brook, NJ. The Mission Advisory Committee immediately agreed to accept the organ; it was received, overhauled, and placed into service less than one month later. The reed organ was used until 1945 when it was replaced by a new Hammond Series D electromechanical tone-wheel organ. The Hammond organ was used until 1971 when it was replaced by an Allen TC-3S analog electronic organ. In 1990, the Allen TC-3S organ was replaced by an Allen MDS-45 digital electronic organ, which remains in use today. All organs are pipeless. Over the years, both St. James Mission and St. James Parish have been blessed by their ability to obtain the services of highly skilled and dedicated Organists/Choir Directors, as evidenced in the recent past by the services of Ruth Dodd and her successor Linda Shadel. Linda Shadel served, with distinction, as Organist/Choir Director for 32 years (from May 1st 1981 until April 30th 2013). 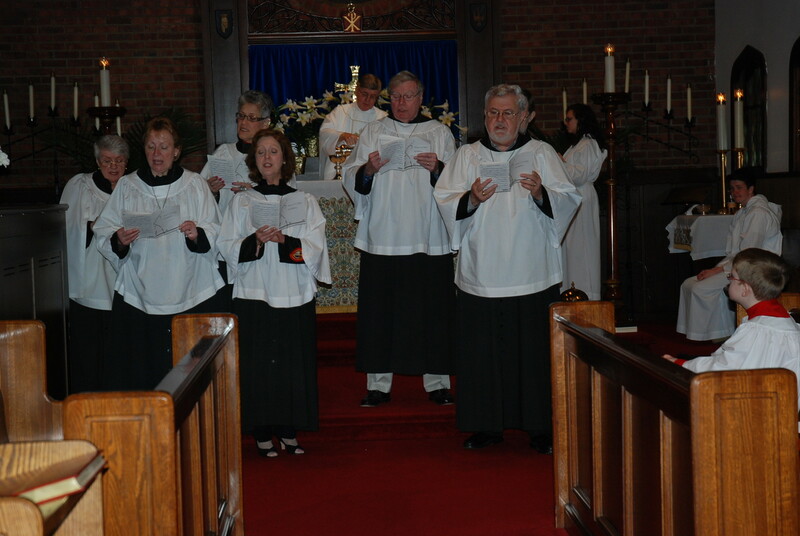 On May 1st 2013, Mark Howe, a long-time member of the St. James congregation and also a member of the Choir, was appointed by the Vestry to serve as Organist/Choir Director. Over the years, Mark has served as a substitute for both Ruth Dodd and Linda Shadel when required. From time-to-time, a Youth Choir or Cherub Choir has performed with the Senior Choir. In 2010, Mark Howe, who in his youth had been a member of the St. James Boys Choir, organized a Youth Choir which has sung with the Senior Choir and provided segments of music, featuring silver bells and violin accompaniment, for integration into anthems presented by the Senior Choir. The congregation of St. James is convinced that Mark Howe will continue the tradition of Music Ministry excellence that has been established by Ruth Dodd and Linda Shadel. The congregation of St. James is extremely proud of the St. James Choir and their very high quality performances. 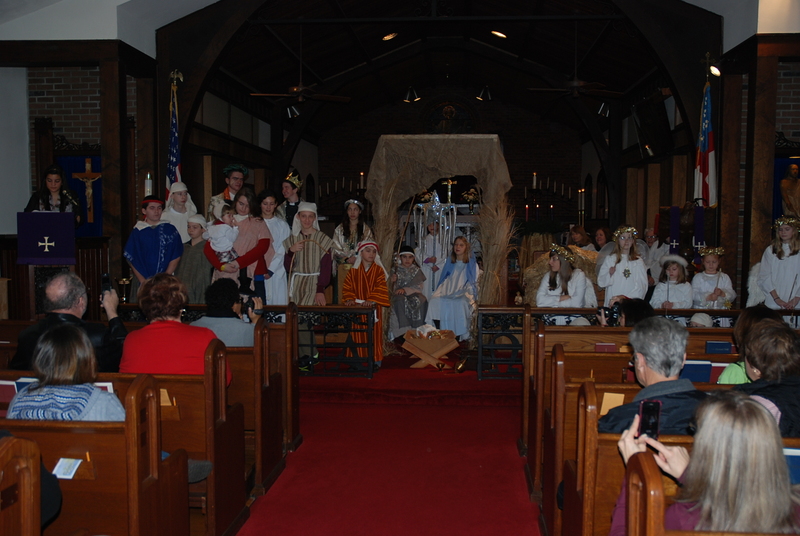 The anthems presented during essentially all 10:00 am Eucharist Services are captivating; and their special performances presented in connection with Good Friday and Christmas Eve Services are especially noteworthy. As Father Hadley once remarked: “St James is a singing church and the congregational singing of our people is outstanding.” However, all in the congregation will be quick to point out that this is only possible if the congregation is led by an understanding and highly competent organist and choir! During the 10:00 am Eucharist Service, held on April 15th 2012, Robert W. McGrath was awarded a Diocesan Certificate to commemorate his service to the religious music ministry as a long-time member of the St. James Choir. The Diocesan Certificate was presented to Mr. McGrath by choir member William Madden, on behalf of Bishop George E. Councell, the eleventh Bishop of the New Jersey Diocese. Mr. McGrath, who resides in Neptune City, also celebrated his 99th birthday on the same day. 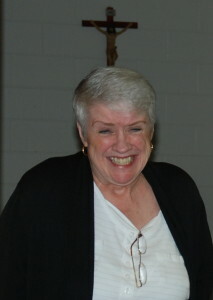 Bob McGrath’s daughter, Mrs. Marty Taylor, who is a member of the St. James Choir proudly witnessed the award ceremony. On 31 May 2013, Linda Shadel retired from her post of Organist and Choir Director, after having served in that capacity for 33 years. The Parish was grateful for her decision to continue to add her voice to that of the St. James Choir. Linda was honored by the Parish at the 10:00 Eucharist Service held on June 9th 2013, by the presentation of a plaque with an appropriate citation presented by the Rector Father Frank M. Goss, and through a special cake and coffee served in the Undercroft by the St. James Choir following the Eucharist Service. Linda Shadel, passed from this earth on August 4th 2013. Linda served as Organist and Choir Director at St. James Church from May 1st 1981 until April 30th 2013. She has left an enduring legacy in the Music Ministry of St. James, where she continued to serve as a member of the Choir, even after her retirement as Choir Director. Linda was highly respected, loved by all who knew her, and will be missed by all Parishioners who will pray for the peace of her soul as a Member of the Heavenly Choir. 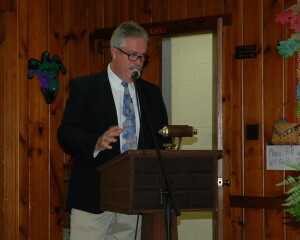 The Music Ministry is now managed by Mark Howe, who also serves as Organist and Choir Director. Based on the culture, traditions, and practices of the Episcopal Church, it is reasonable to believe that the St. James Altar Guild was established prior to the dedication of the original church building on January 14th 1917. Most likely, the Altar Guild was formed as early as October 1916, shortly after the laying of the cornerstone – or possibly even earlier, to enable the Guild to make the preparations necessary to care for the Altar when constructed, and to prepare for the formal dedication of the church. From existing records, it can be seen that Mrs. John P. Van Kirk, a founding member of St. James Mission, was Directress of the Altar Guild during the 1930s and 1940s, and probably even earlier. Based on the initiatives she took to get the church established, and her central role in many of the early activities of St. James Church, Mrs. Van Kirk might well have been the first Directress of the Altar Guild. 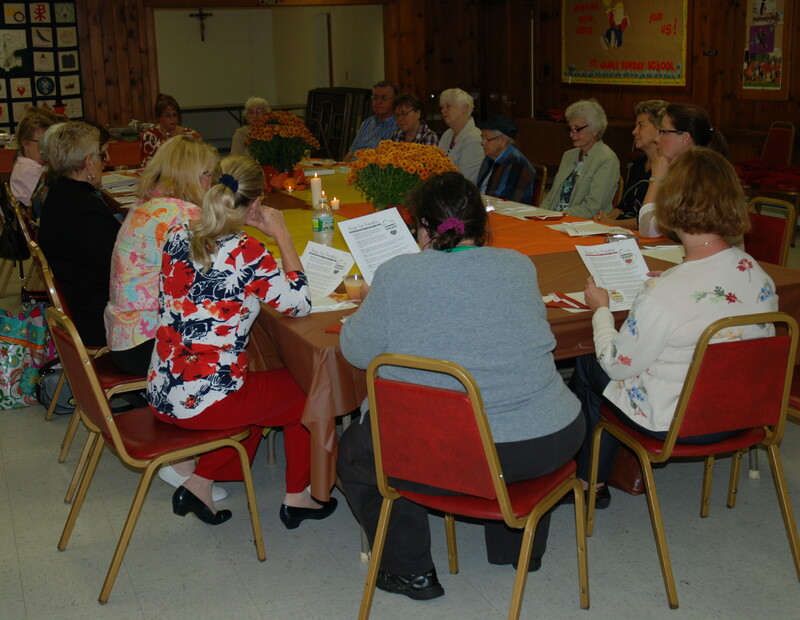 At the First Annual Meeting of the Parish, held on December 6th 1946, Mrs. Van Kirk reported that there were nine members of the Altar Guild and that meetings were held each month. She also reported that that the Altar Guild “received the cash from offerings made at the early service on the first Sunday each month which about covers the operating costs” of the Guild. Other records from that time indicate that the Altar Guild worked hard to make sure that all was right for the celebration of the Eucharist to include availability of floral arrangements for each service, preparation of appropriate vestments to be worn by the celebrant, and the preparation of the sacred vessels to be used during the service. Many meetings and workshops of the Altar Guild were devoted to tasks such as re-lacquering three-branch candlesticks, credence table lights, and Altar vases; and, creating vestments to be worn during the services by the Rector or visiting priests. Today, the Altar Guild continues that tradition of maintaining and beautifying the Altar, and ensuring availability of the vestments and sacred vessels needed for the celebration of the Eucharist. Prior to each service, the ladies of the Altar Guild ensure that appropriate floral arrangements for the sanctuary are obtained and properly positioned, the Altar is prepared for the Service, and required sacred vessels are placed in proper positions. After the Services, the designated Altar Guild members work in the Altar Guild Sacristy to wash and properly store the sacred vessels and linens used during the celebration of the Eucharist, and to clean and store the vestments worn by the priest. As was the case of their predecessors, the Altar Guild recently re-plated most of the brass items, purchased new linens and new cruets, and replaced worn-out holiday decorations. The Altar Guild is dependent upon income from flower memorials and donations from individuals and organizations, such as St. Martha’s Guild. 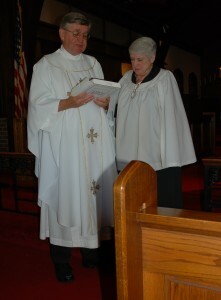 The current Directress of the Altar Guild, Kathy Ward, also maintains the parish prayer chain; the current Treasurer of the Altar Guild is Kathy King. The Heart Shaper curriculum, having the objective to “Shape Hearts with God’s Word” (provided by Standard Publishing) currently is used by the Church School. The program of instruction is designed for use by Toddlers to Pre-Teen students; it also includes a complimentary program for Teens and Young Adults. The curriculum helps the youngest children build positive attitudes and relationships in the church, and helps all children learn Bible stories, verses, values and skills appropriate and relevant for their age. All teachers are well educated, dedicated, and fully committed to their task. Currently, there are 38 students enrolled in the Church School of St. James Parish. 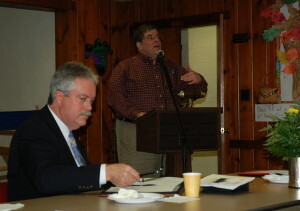 Special Events and Activities are also pursued by the Sunday School throughout the year. Laura Schembri serves as Superintendent of the Sunday school. The history of the Women’s Guilds in St. James Church dates back to the earliest days of the church. Although not stated in official records, it is reasonable to assume that Mrs. Brearley and Mrs. Sherman were active in organizing the first meetings of the potential Bradley Beach congregation in May 1911. It is a matter of record that the interested congregants met in the home of Mr. and Mrs. Spencer Brearley on October 4th 1914 to discuss the establishment of the St. James Mission; it is also recorded that, on the next day, Mrs. Brearley and Mrs. Sherman obtained the permission of Mr. Frank Appleby to use his unoccupied store on La Reine Avenue for Episcopal Services. 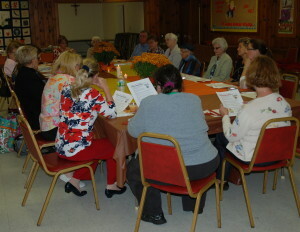 It is also recorded that “the Women’s Guild, filled with enthusiasm, began looking for opportunities for making money.” Initially the fund raising activities were sharply focused on raising the money necessary to establish the St. James Mission, to build a church in Bradley Beach, and after its construction to contribute to the sustainment of the church. The first fund raising activity of the Women’s Guild was to serve sandwiches and coffee to the voters at the fall election on November 3rd 1914. The proceeds from that venture totaled $40.86 (a significant amount in those days). 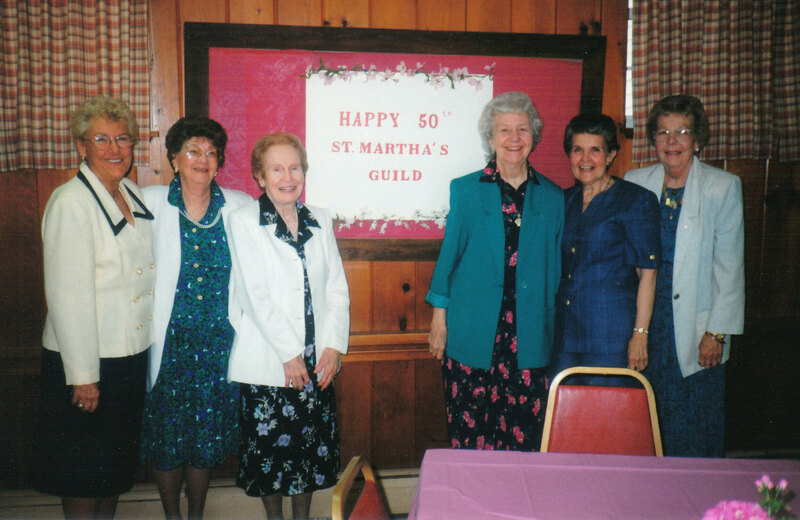 From that humble beginning, the Women’s Guilds (now St. Martha’s Guild) have strongly supported the operations and work of St. James Church, over the years, through their well managed fund raising activities. Initially, there were two Women’s Guilds; namely a Women’s Guild and a Junior Women’s Guild (which during the time of the Mission merged to become the St. James Guild). 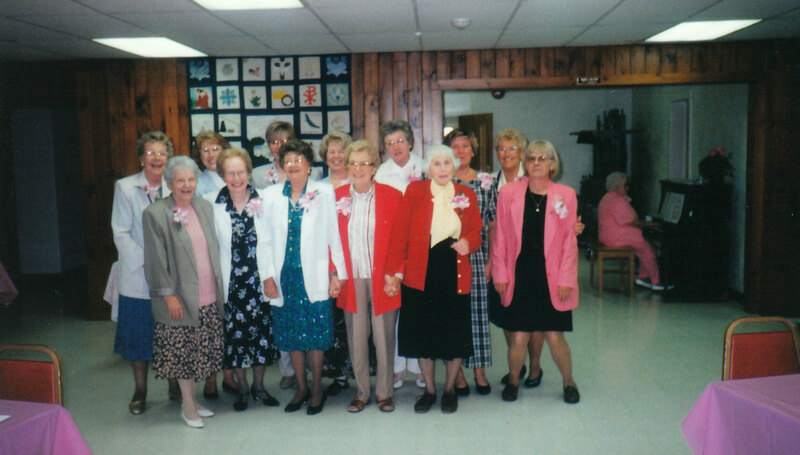 A Junior Women’s Guild was reconstituted as a separate entity in March 1949. However, in the late 1950s, at the encouragement of the then Rector Father Hall, the Junior Women’s Guild was reconstituted as the St. Martha’s Guild due to its age-diverse membership. In the recent past, the St. James Guild ceased operations and all women were encouraged to join St. Martha’s Guild (most were already members). It is very clear that the women of St. Martha’s Guild are a vibrant blend of all ages, from young women with small children to great grandmothers; from working women to those who have retired. 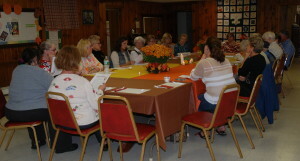 Regardless of their ages, backgrounds, or occupations, the women of St. Martha’s Guild are drawn to the Guild’s environment where they work together faithfully, harmoniously, and sacrificially to share God’s love and to enable St. James Church to achieve its goals and objectives. These women are, indeed, a dedicated, enthusiastic, and energetic group who commonly share a ministry of service in the spirit of their patron, St. Martha. Moreover, they seem to genuinely enjoy working together at monthly meetings, workshops, and fund-raising events held throughout the year. By far, St. Martha’s Guild is the major fund raising organization of St. James Church. 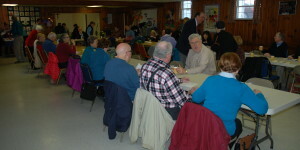 One only has to recall that their primary fund raising activities include an annual Country Fair, Rummage Sales held in the spring and fall of each year, and their biennial Gift Auction; these are supplemented by Easter and Christmas Sales and various Bake Sales. Through their hard work, and well planned events, the Guild generally realizes an annual income of approximately fifteen to twenty thousand dollars (the larger amount in the years of the Gift Auction). However, it must be noted that in addition to fund raising, the Guild is always ready and willing to volunteer to organize any special social events that might be required during the course of the year. 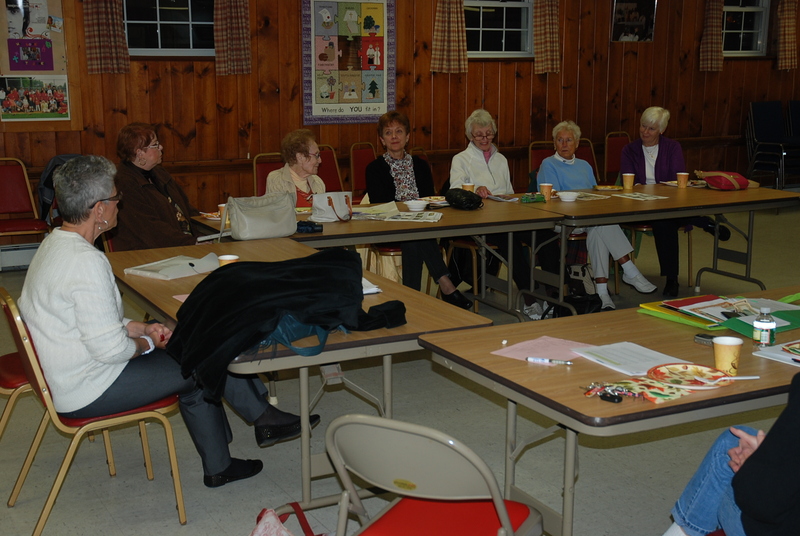 Most of the annual income of St. Martha’s Guild is given to support the annual operating fund of St. James Church. 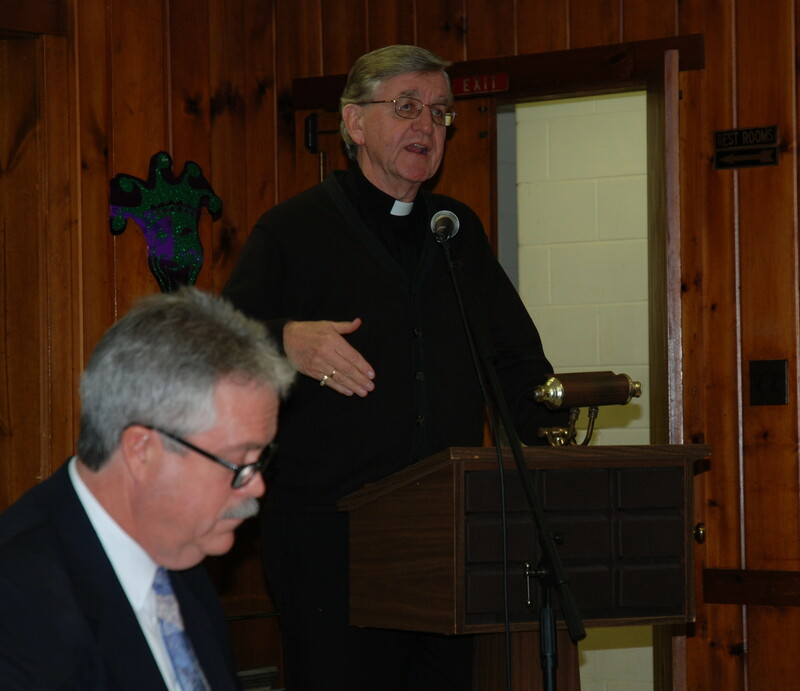 However, the Guild also provides significant financial support for many of the other activities of the Parish, including the Altar Guild, “Boxes for the Troops,” Mardi Gras, the Rector’s Discretionary Fund, Christmas Gifts/Toys for the needy, Parish Endowment Fund, and the H.E.L.P. Ministry. 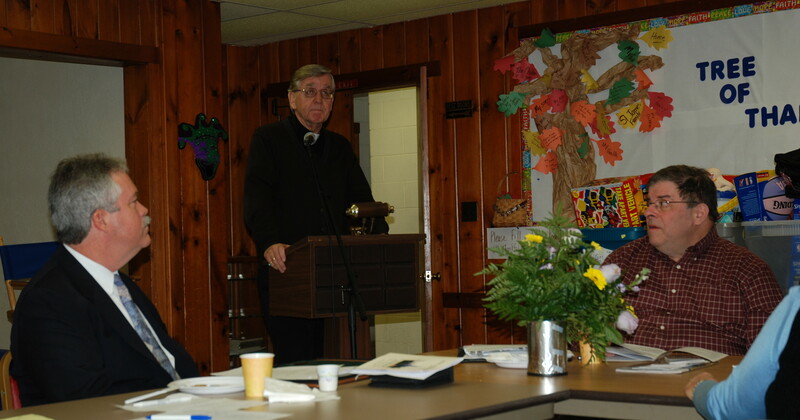 Guild donations for beyond the parish organizations have included the Seamen’s Church Institute, Student Awards, National Episcopal Cathedral, the Bethlehem Ministry in Haiti, and the Diocesan Evergreens Residential Facility. St. Martha’s Guild also frequently steps forward with donations for repairs needed in the church or office including replacement doors, new vacuum cleaners, new shelves, rug cleaning, and the like. The current leadership of the Guild includes Alice Force (President), Jane Rowe (Treasurer), Diane Casner (Recording Secretary), Gail Lordi (Corresponding Secretary), and Christine Knight (Past President). The origin of the St. James Youth Group is believed to be the “Young Peoples Group” which was organized on January 18th 1948. The Young Peoples Group met on Thursday evenings and had an initial membership of approximately fifteen young adults, who were16 years of age or older. 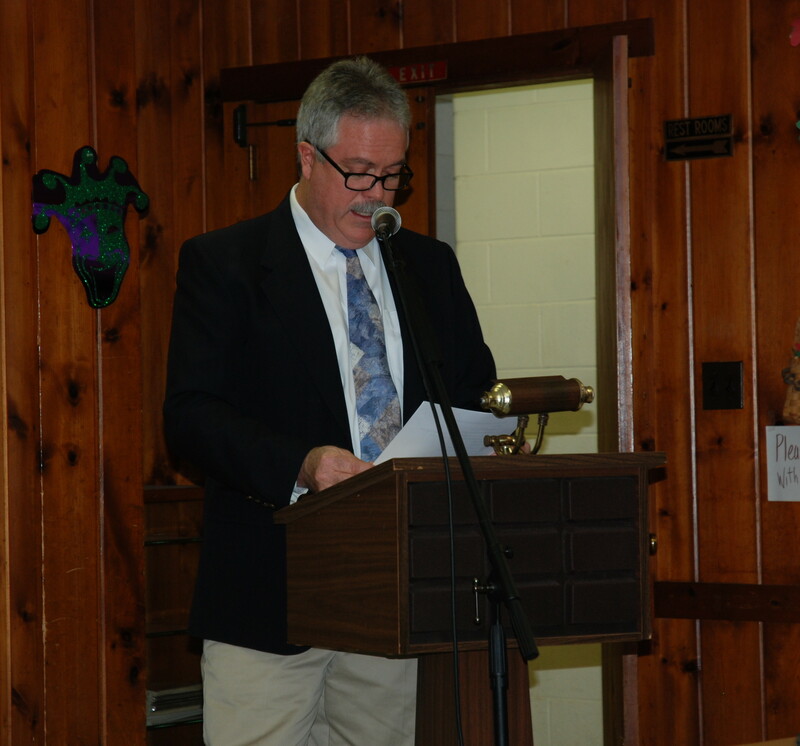 During their first year, the Group donated $25.00 to the furnace fund and closed the year with a balance of $38.32. The elected officers were George Gronde (President), Anne White (Secretary-Treasurer), and Ann Darnell (Entertainment Chairman). The group was very active in the 1940s and 1950s. It is a matter of record that the Youth Group organized and served a Saturday Night Supper on January 18th 1964 as a special fund raiser for the Building Fund that was established to support construction of the Second Addition/Renovation for St. James Church. In addition, the Directory for the Country Fair, held on November 25th 1976, includes an advertisement which states that the “St. James Senior High Youth Group thanks the members of the Parish and Friends for continuing to support their Annual Election Night Spaghetti Dinner.” The Youth Group had gone dormant in the early 1980s, but was reconstituted in 2003 as part of the Church School, under the leadership of Brooke and Mark Mindnich. Participation in the Night Watch at St. John the Divine in New York City; this faith and spiritual building overnight activity is followed the next day by a tour of this historical landmark. Organization, preparation, serving, and clean-up for the Youth Group’s Annual Election Night Spaghetti Dinner when approximately 200 dinners are served. Trips to a Theatre in New York City to attend a seasonal performance. Organization and direction of the annual Sunday School/Parish picnic. Participation in various holiday events. As part of the Centennial celebration of St. James Church, the Youth Group accepted responsibility for the design, fabrication, and emplacement of a Time Capsule to commemorate the 100th Anniversary of St. James Church. The Youth Group was responsible for all aspects of the program including program planning, determination of Time Capsule contents, Capsule construction, location of site for emplacement of the Capsule, site preparation, actual Capsule emplacement, ceremony program, invitations, and promotion. The current advisers for the Youth Group are Lisa Scott and Nancy Smith.